Being that I am so connected with crystals, they always seem to find their way into my life and always in perfectly synchronous and aligned timing. There are so many variations of crystals and stones so it can constantly be a fun discovery when one I haven’t in this life worked with yet, shows up on my radar and wanders into my experience. There are several I gravitate towards in general, but I have recently been led to work with new crystals that, on a soul level, are so familiar even if seemingly new to this life so far. I keep noticing how the shifts I am making and experiencing, keep calling for different energies. So to me, it makes sense that I would gravitate toward crystals with energy that aligns with this and can aid taking me the next leg of the journey. I also move my crystals around in my environment so I can shift the Feng Shui and have those daily working with me, be right beside me. And of course, in waves, there are those that at times are ready to move on. The most recent crystals that have come to work with me (almost solely) are the Monatomic Andara Crystals. Everything in its divine timing, as their arrival is definitely aligned to have them in my current experience now, rather than before. I like to work with crystals personally before sharing about their energy, as I feel it important to relay first-hand experience. 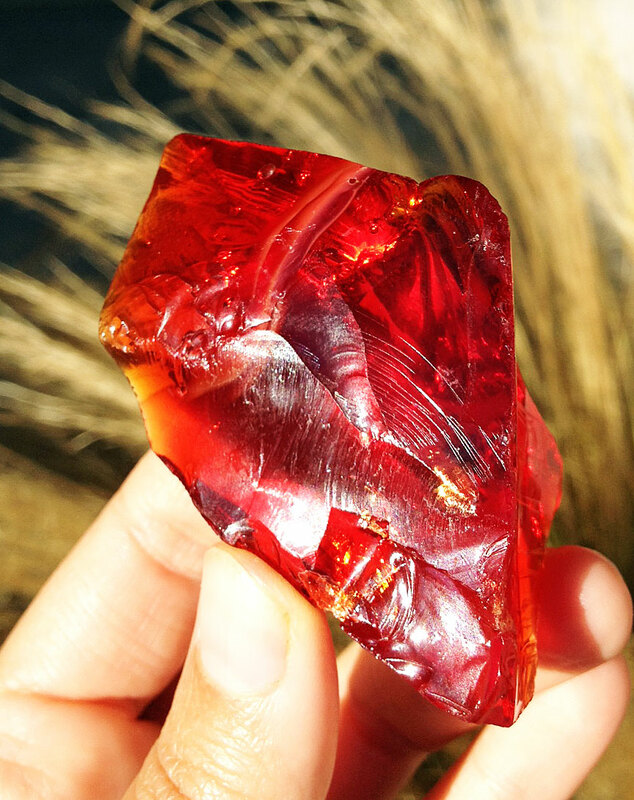 These very special and powerful healing crystals arrive to us in a rainbow spectrum of gorgeous colors that each share very unique metaphysical properties, which access very high frequencies of light energy. The following is a summary of information that is widely known about them and what I’ve recently come to learn. Andaras were originally found in the U.S. by Lady Nellie, a 90-year-old half Choctaw Indian medicine woman and shaman in 1967. These Monatomic Andara Crystal Glass come from one of the Earth’s high-energy vortex sites in the High Sierra Nevadas of northern California. (I loved learning this since I lived at Lake Tahoe and Reno for 4 years, which lies in the northern Sierra Nevada region and always felt such a strong tie there because of the energies it has). Another known place is in South Africa. Scientific testing of the soil in the location where they were found has confirmed it to be high in monatomic metallic elements. These single atom metal elements behave unusually in comparison to normal metals, as in their powder weighing less, their atomic electron spin rate being higher, and highly specialized equipment being needed to even test them. Andaras are created by the natural heating of their elements – they are primarily composed of Prima Matra (first matter), monatomic metallic elements found in Etherium powders – to extremely high temperatures that transmute to produce a glass-like material. Monatomic elements have been confirmed with such properties as being able to pass their vibrational energy to other objects, being first-matter elements, and being used over the years for healing and raising of consciousness, to name a few. The Prima Matra is the result of combining an inter-dimensional implosion taking place billions of year ago with natural factors such as heat and pressure later. This resulted in the crystal glass with enhanced properties of its Etherium Powders that resonates at the same proven frequency as the original Prima Matra. 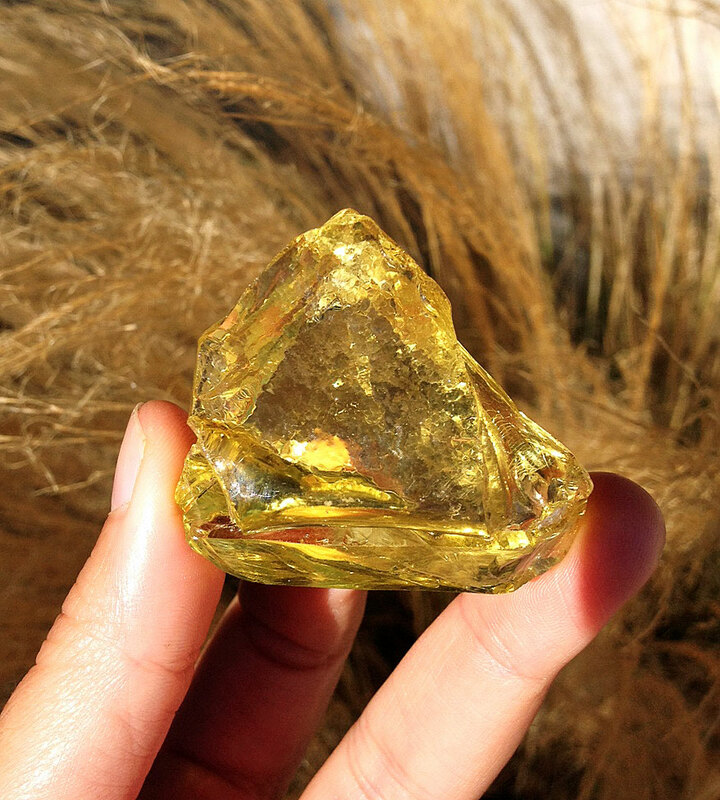 Andara Crystals are known as one of the master crystals with healing vibrations that are from another world. They are thought by some to be the highest vibrational crystals because they contain Prima Matra (which combines 70 minerals). In general, they support us to move multi-dimensionally through space and time, to increase our awareness and raise our vibrations to access universal knowledge and connect with beings from higher realms, to detoxify negativity and balance and cleanse the chakras, assist our ability for energy channeling, powerfully heal, and accelerate spiritual development, awareness and manifesting abilities. In addition, each unique Andara embodies specific properties that focus their energy and our work with them. They are translucent, luminescent glass-like crystals of beautiful transparent colors and share an energy simply not experienced from any other material. Their energy is an anchoring of bleed through connected to Mu/Lemuria and “other” multidimensional realms. I’m still discovering these amazing Andaras, but can say that from the moment one was in my hand producing chills, everything has shifted into another frequency and with great speed into a new experience of direct access aligned with my intentions and the Earth experience acceleration. I daily work with them, take them with me on hikes, sleep with them under my pillow and find them to be simply stunning in every way. I know that many others have been working with them for quite some time and more people are becoming aware of their powerful energy and feeling drawn to them right now too. They are definitely part of the new energy we are creating and will call to those ready to work with them, as crystals do! I can’t say enough about them and am grateful to have been guided to these amazing beings. I definitely recognize them as long lost friends. The two shared here, are a couple of mine. I will post more photos soon, as I continue to work with the lovely group of 7 I have. If you are drawn to these crystalline beings, make sure to get them from a true source. Use your intuition and let your heart guide you, as to which are meant to work with you. They can definitely support all of shifts you are experiencing and would like to experience. Posted on October 30, 2012, in Uncategorized and tagged andara crystal metaphysical properties, andara crystals, first matter, monatomic andara crystal glass, monatomic andara crystals, prima matra, shift your frequency. Bookmark the permalink. 21 Comments. WOW!!!! I could feel even from the pictures of the Andaras…I look to work with these. Hi there Tania…just came across this post even after all these years, for a reason & from everything I’ve read about the Andaras I believe they lead me here to seek them out? Where can I find & purchase these the yellow & red Andara? And are there any other colors besides these 2 colors? They are Beautiful & I’m so drawn to them that I felt a magnetic type pull as I was reading more about them…their energy is most definitely a powerful one I must say. The Monatomic Andara crystal is very special. In confirmed scientific testing of the location where they were originally found, the soil that Monatomic Andara crystals were discovered in contain high levels of monatomic metallic elements. I have a very gorgeous blue andara that was passed down to me I have had a connection with it for many years. I’m glad to find more information thank you for sharing your gorgeous andaras they are powerful through pictures too. I was looking up to try Andara Crystals after I saw a picture o one and it called out to me… I found this post so informative! I’ll be checking out your shop on Etsy soon! thank you christina! i’m glad you found it helpful. i no longer sell crystals in my etsy shop, although some of my new items do have crystals as part of the creation. but thank you!